A few friends who subscribe to BookNotes, or are part of the “Friends of Hearts & Minds” Facebook group, have noticed I haven’t been around all week. Our whereabouts have not been a mystery, but for those that care, they have been bookish. Here’s the story. At the start of last week, we were lugging books into the lovely Laurelville Mennonite Camp & Retreat Center in Western PA, serving our great friends at the annual Northeast Wee Kirk Conference. That’s “small church” in Scottish, yee surely know, and it is a gathering of those who pastor or serve small congregations, mostly in Presby churches. What an inspiring lot, these hard-workin’ (book-buyin’) Wee Kirk folk. Thanks to Presbyterians for Renewal for helping fund this gathering. Wee Kirk was especially good this year as we reconnected with old pal and prolific writer Rev. Dr. N. Graham Standish. If you don’t know his recent books published by the Alban Institute (Becoming a Blessed Church and Humble Leadership) you really should. They are among Alban’s best-sellers! (His congregation was highlighted in the work of Diana Butler Bass, and he makes an appearance in her splendid Christianity for the Rest of Us.) An earlier book he wrote that we love is called Discovering the Narrow Path: A Guide to Spiritual Balance which shows his wise, contemplative approach. Graham strikes me as ancient-future, and we talked about Dutch anthropologist and mystic Andrian Van Kaam, celebrated classic stuff like Testament of Devotion, even as he showed me spiffy worship graphics on his Apple Mac laptop. We’ve got his books around, of course, so let us know if you want to order any. Dr. Edith Humphrey was another speaker, she of McGill U. fame (where she studied with N.T. Wright and hung out with Brian Walsh years ago) and now is a beloved Prof. at Pittsburgh Theological Seminary. She has two very, very thoughtful, pretty intense works. One has this remarkably provocative title, about the rhetoric of visions in the New Testament: I Turned to See The Voice. (Awesome, eh? Think about it.) Another we really recommend is the remarkable Intimacy and Ecstasy: When the Holy Spirit Meets the Human Spirit (published by Eerdmans.) 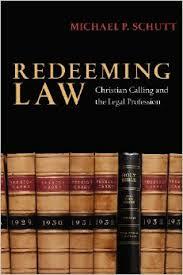 It has a good forward by Eugene Peterson, and he highly recommends it as meaty, spiritual theology. She was an Episcopalian but in recent years has been drawn to Orthodoxy, so she’s writing, as a Biblical scholar, out of a very mature inner life, rooted in a liturgical worldview. She is an excellent thinker and quite impressive. She has a chapter in the brand new IVP Academic title Trinitarian Theology for the Church: Scripture, Community, Worship, which looks altogether impressive. Meeting her makes me glad that we carry her work. Wee Kirk wouldn’t be Wee Kirk without Phil Olson, who co-authored the fabulous book most known as a Ron Sider title, Churches That Make a Difference. Phil worked for ESA for a stint, and he helped Heidi Unrue and Ron do this very helpful study of wholistic congregations whose outreach is truly bearing faithful fruit. It is a classic of wholistic evangelism and his passionate (and funny) talk about Philip (in Acts) left us eager to study and serve. We’ve talked about this book often, and it was tremendous to have Phil telling us about it. It really is a favorite. If you care about missional outreach, especially in an urban setting, this is a must-read. After these fine days studying God’s Kingdom ways for rural churches and small congregational life we experienced some emotional whiplash hopping on a jet to upscale San Diego, where we were privileged to serve the annual event of the Christian Legal Society. Each year, this fine professional association gathers to fellowship and equip for distinctive service those who serve in fields of law, legal studies, legal aid, mediation, human rights and ministry with and among attorneys. At CLS San Diego, I had the great joy of doing a workshop on reading, offering suggestions on books about worldview formation, calling and career, civic and political life and how all that frames and informs the art of lawyering well. I had some nervousness about this–there were authors and scholars and judges walking around all over the place—but once I started my spiel, I got pretty fired up. I’m not sure if the small group in the seminar got much out of it, but I was once again reminded of my own sense of calling to help talk about books that can change lives, help us think and see and imagine Christianly, living out all of life, in all of life, in a manner that is Biblically-informed, wise and faithful. Some of these attorney’s and public leaders are pretty visionary themselves, and some are doing remarkable work making a difference in their own corner of the legal world. (And, in the workshop itself, was inspired by stories of lawyers who counsel their clients, offering free books, or those who have started reading groups amongst their colleagues at the firm.) Thank God for readers, and especially for Christian lawyers, for those who serve in prestigious practices or small town courts, doing splashy or commonplace tasks, helping their neighbor, working for the common good. It was great to be with them. nd respect. If you know any thoughtful lawyers, it is a must, so please tell them about it. Mike is doing some very fine pod-casting (look out Mars Hill Audio & Ken Meyers!) and I even helped a bit with a zany late night one with a few law students and a law prof and a practicing attorney. Good for anybody thinking about the relationship between studies and real life, between the calling of students as they transition into careers. Anyway, his “Cross & Gavel” website is a treat, especially the podcasts. Soon, I’ll post the annotated bibliography that I handed out at the CLS workshop. It may be helpful for anybody interested in reading, nurturing a worldview, the Christian mind, calling, vocation, and public/political life. A few CLS participants insisted that these sorts of resources ought to be more widely available. So right. And, this: we heard one of the best speeches I’ve ever heard, delivered with hilarious zest by an upbeat and contagiously joyful lawyer who is making a difference in so many ways, mostly now in Uganda. Yes, it is a hilarious and clever story, but he is very close to becoming the first non-Ugandan to serve on their Supreme Court. And he’ll probably get one of those cool wigs and everything. Better, he may expedite justice in this war-torn land, with a special passion for adjudicating the trial of children who languish in jails due to involvement in the awful child warfare there. Pray for him. His name is Bob Goff. Here is a website of Restore International a non-profit he’s started, fighting trafficking, among other good things. Bob Goff, this great speaker and the highlight of the CLS event, by the way, is somebody some of you have heard of. 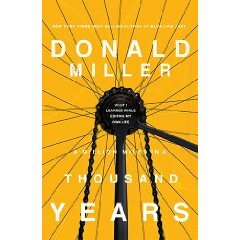 He is talked about with great gusto in the fine new memoir by Donald Miller, A Million Miles in a Thousand Days. Miller, as I explained in my Booknotes review here, writes in his new memoir that he has to get a life that is a bit better, especially since they are making a movie about him. What does one do when one realizes that one’s life is a bit drab and uninspiring, and the character they are telling about you in the film is better than your real life? Well, Miller wisely studies the process of film-making, learning what makes a good story, and begins to make his life count for something. Bob Goff is his chief ally in this, taking him to Uganda (and a few other crazy places, too. He calls these holy capers.) Goff was the real deal, and it was a remarkable pleasure to hear him extol a life “with the fingerprints of Jesus on it” to these CLS leaders. And it is a real pleasure to remind you that if you want to hear about this remarkable life, check out A Million Miles in a Thousand Days. If you follow that link given above to my review, or just scroll back a month, we have a pretty sweet deal offered on it. By the way, local friends: did you hear that Donald “Blue Like Jazz” Miller, and his hilarious comedian friend, Susan Isaacs (author of Angry Conversations With God: A Snarky But Authentic Spiritual Memoir) is speaking here in York/Red Lion, PA, this Friday, October 23rd? Thought you may appreciate a reminder. Check out Living Word Community Church if you’re anywhere nearby. Buy the book from us, though, since the publisher’s marketeers have arranged a dumb out of town chain selling books there. Consider it a holy caper, a mitzvah. Thanks. And for anybody that is still reading: just got back from an out of town funeral, a beloved Aunt Trudy. She gave us books and art supplies as kids. She was 91. RIP. Want any of the books we’ve mentioned? Order here. Say you saw it on the blog and we’ll give you a special 20% off blog special. Thanks for caring.